Texas Observer reporter Christopher Collin’s coverage of environmental issues in rural Texas won second place honors for outstanding beat reporting, small market, in the Society of Environmental Journalists’ 2018 Annual Awards for Reporting on the Environment. 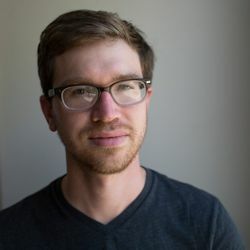 Collins, who lives in Abilene, Texas, previously worked as a reporter at the Abilene Reporter-News and the Wichita Falls Times Record News after graduating from Midwestern State University in 2012. SEJournal Online recently caught up with Collins. Here is the conversation. EDITOR’S NOTE: You're now seeing more of Inside Story — this regular SEJournal Online Q&A feature has started appearing every two months, instead of every three. Inside Story editor Beth Daley will bring you more conversations with award-winning journalists about the behind-the-scenes practices, ideas and breakthroughs that led to their best work, plus their advice on how to excel. Be sure to watch for upcoming installments. In the meantime, check out other winners from SEJ's 17th Annual Awards, from which our Q&A subjects are drawn. How did you get your winning story ideas? I'll pick my cropduster feature to answer this question: A tip! I was working at a daily newspaper at the time when a local farmer copied me on a complaint he had submitted to the Texas Department of Agriculture, the agency that regulates pesticide use in my state. 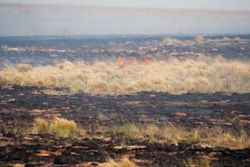 The farmer claimed that a cropduster hired by a neighboring farmer had sprayed pesticides that were carried by the wind, damaging some of the complainant's crops. So I called the complainant, who ended up not wanting to talk to me. But it made me wonder how frequently this type of "pesticide drift" occurred in Texas, and whether people got in trouble when it happened. 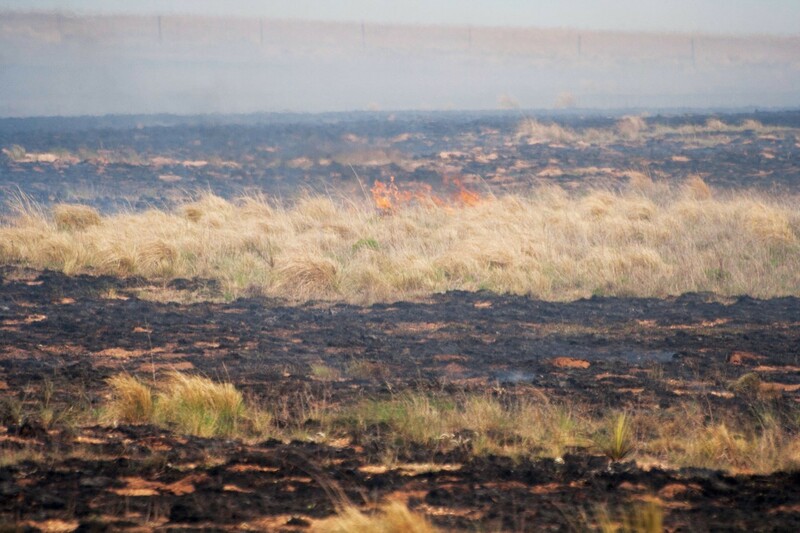 Prescribed burns, such as the one shown here in rural Texas, were one issue Collins explored in his SEJ award-winning work. Photo: Christopher Collins. Click to enlarge. What was the biggest challenge in reporting the pieces and how did you solve that challenge? Probably the data. To get a grasp on how frequently pesticides were drifting in Texas and how wrongdoers were held accountable, I had to do substantial analyses of Texas Department of Agriculture complaint and enforcement data (the records were obtained through a series of Texas Public Information Act requests). Some of the data was formatted poorly and a lot of it was formatted as "dumb" PDFs. (PDFS where keywords cannot be searched). I tried to be organized and efficient as possible, but really the way I solved that problem was by spending many eye-numbing hours combing through records. What most surprised you about your reporting/findings? I was surprised by the paltry penalties levied by the regulatory agency on violators; I was surprised that ostensibly no one had ever had their pesticide applicator license revoked for a drift incident transgression, even a serious one; I was surprised by how little emphasis EPA places on the possible negative health effects brought about by persistent, low-level exposure to toxic pesticides when approving them for sale; I was also surprised at how difficult it is to prove a causal link between pesticide drift and human health problems. how a problem has made life worse for folks. How did you decide to tell the story/series and why? I focused on the people affected by pesticide drift. Environmental reporting, like any other type of journalism, generally doesn't mean much unless you can show how a problem has made life worse for folks. I keyed in on two specific cases: One, a series of drift incidents in a tiny farming community where residents were essentially under assault by unscrupulous cropdusters; and two, farmers who were losing massive acreages of their cotton crops due to spraying at a nearby ranch. 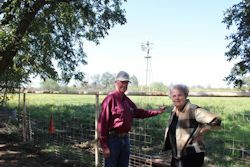 Along with the anecdotes, I tried to tie in the utter failure of the Texas Department of Agriculture to hold rulebreakers to account — I think that is a crucial element in a story like this. What would you do differently now, if anything, in reporting or telling the story/series and why? 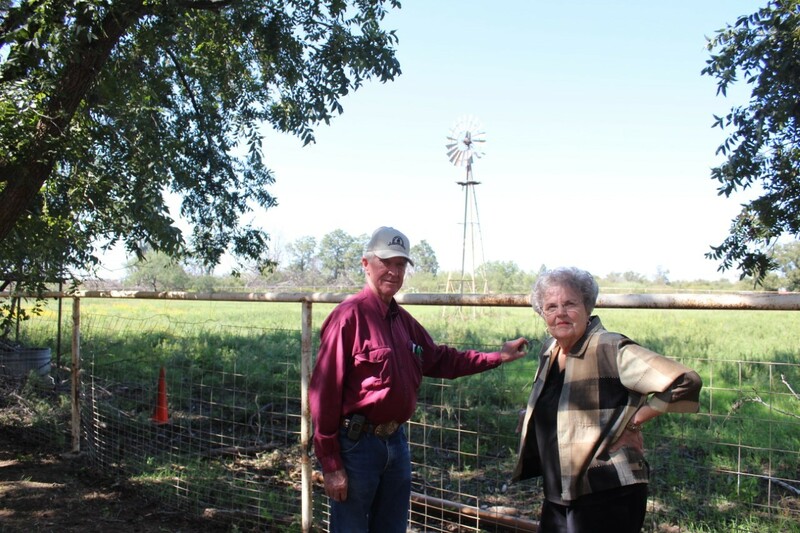 Charles and Loyce Phillips worry water needs for the fracking industry will deplete their well water, one rural Texas concern that Collins wrote about in his series. Photo: Christopher Collins. Click to enlarge. I would have spent more time in affected communities to get a better idea of how this problem affected them. I also would have put more effort into probing the connection between pesticide drift and the myriad health problems experienced by the people who live in areas where the problem is most severe. What lessons have you learned from your story or project? I've learned that sometimes you've got to trust your gut when you think you've got a good story. My original tipster refused to talk. The story could have stopped there if I hadn't pressed forward. I've learned how crucial it is to have good editors you trust. Your editor is the one who makes a good story great. What practical advice would you give to other reporters pursuing similar projects, including any specific techniques or tools you used and could tell us more about? Use your state's public information law to get copies of pesticide drift complaints, along with data showing how your state is punishing the people who violate the law. Contact as many people affected as you can. I think I contacted 50 or 60 complainants before I found the communities I ultimately keyed in on for the story. Become proficient with Microsoft Excel or any spreadsheet program you have available to you. Is there anything else you would like to share about this story or environmental journalism? I'd just say that before reporting this story I didn't grasp the importance of environmental reporting or how diverse it can be. I think everyone should try their hand at it, whether it be about air pollution, water contamination, agriculture, energy development, environmental justice, climate change, etc. Honestly, the environment informs just about everything we as humans do. So go report on it! * From the weekly news magazine SEJournal Online, Vol. 4, No. 6. Content from each new issue of SEJournal Online is available to the public via the SEJournal Online main page. Subscribe to the e-newsletter here. And see past issues of the SEJournal archived here.